Those first few days of your baby’s life are so precious, yet fly by so quickly. If this time is something that you would like to capture, we can help and absolutely love to do so! 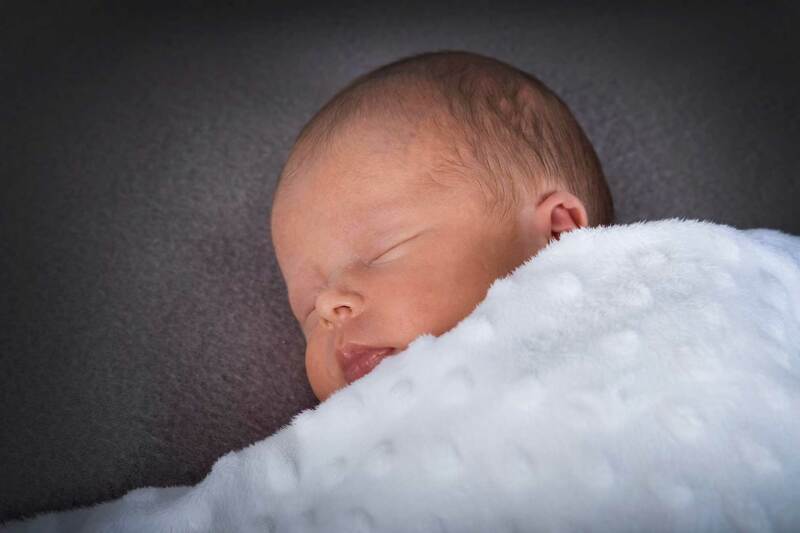 Our studio is welcoming and warm, with tea, coffee and baby changing facilities on hand to make the whole experience a pleasure for everyone. Little Harper was just two weeks old when she popped in to our studio in Truro, Cornwall with her Mum Emma yesterday. Over a cuppa, we agreed on the styling that we thought would work well and while Harper snoozed, we started to shoot the first of four setups. 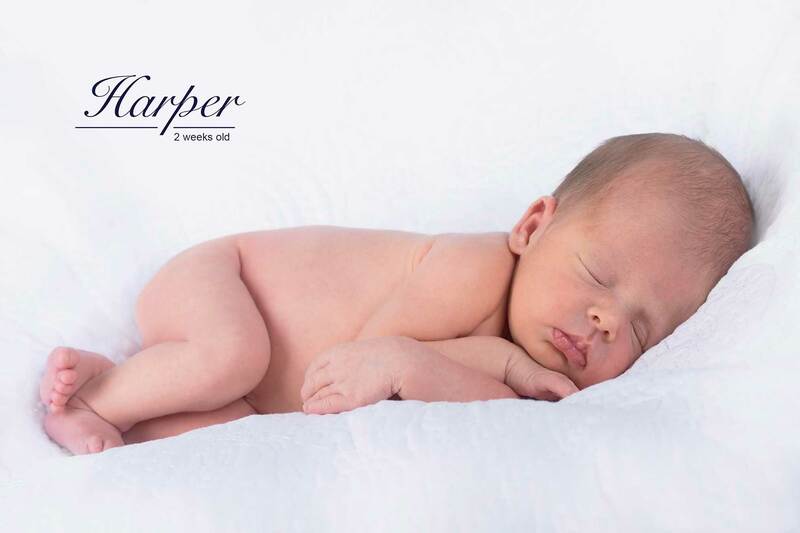 At this young age, it was no surprise that Harper slept for most of the session, except for two small feeds in between sets. The perfect little model and we hope that you love her first official portraits? 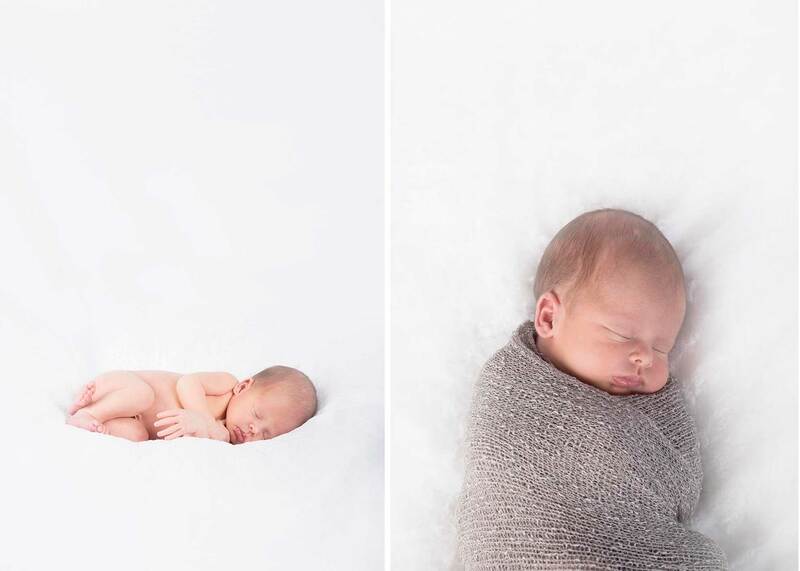 To capture sleepy and oh so cute portraits, visit us within 2 weeks of your baby’s birth day. You do not need to pre-book your photo session but it is helpful if you let us know that you are thinking of coming in and give us your due date. Allow 2 hours for your session and 7 days to receive your images. Viewing appointments to peruse frames and albums are optional. All new parents enjoy both high and low resolution jpg files, so that you can print and share with family and friends on line.